Although Angler continues to be the leading exploit kit, Nuclear is a significant threat to web surfers and seems to have been very active lately. ThreatLabZ recently encountered a Nuclear campaign originating from a variety of compromised sites. These compromises continue the trend of WordPress sites serving malcode, and in this case included the web-presence of a UK-based healthcare organization. The execution flow of this campaign is typical: an infected site includes an embedded iframe that loads the exploit kit landing page. The landing page checks the browser family and version and tests the available Flash version before choosing one of several exploit payloads. From here, multiple possible payloads may be downloaded, particularly Fareit Infostealer Trojan and Troldesh Ransomware Trojan. As covered recently, WordPress continues to be one of the most effective traffic sources for exploit kits. However, the majority of traffic we have seen does not feature the visitorTracker component, but merely includes a hidden iframe in the footer of the WordPress page. The landing pages we evaluated led to two possible Flash exploits as well as one Internet Explorer exploit. Specifically, we saw CVE-2015-5122 and CVE-2015-5560 exploits for Flash, and a highly obfuscated CVE-2014-6332 exploit for IE. As noted by Kafeine, Nuclear has integrated the same Diffie-Hellman Angler first pioneered, only now it is implemented in Flash to protect the CVE-2015-5560 payload. This campaign also features an XTEA function with modified constants. Besides making reverse engineers lives harder, the authors have also decided to include some friendly shoutouts to those analyzing their code. In the case of the featured Flash payloads, the string "fuckAV" is used as a special constant. Once the browser is exploited, Nuclear first drops a Fareit payload. 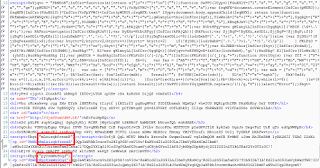 Fareit is an infostealer, and as can be seen in the strings below, is looking to steal user credentials for multiple applications and websites as well as BitCoin wallet information. While stealing users information, Fareit attempts to hide its command and control communication by sending its check-in request in the midst of a batch of HTTP requests to innocuous looking websites. In addition to the Fareit payload, a Troldesh ransomware payload was also seen. Troldesh is yet another in the line of ransomware families that encrypt user files and attempt to extract a ransom payments in exchange for decryption keys. This campaign is using the email addresses files100005(at)gmail.com and files100006(at)gmail.com and the Tor address a4yhexpmth2ldj3v.onion. Although they might prefer to infect the machines of non-analysts, the Troldesh author does take the opportunity to greet their reverse engineer friends. This message is less aggressive than the greeting in the Nuclear flash payload. Thanks, but I don't drink coffee! While Nuclear may not be the exploit kit that regularly debuts the latest advances, the authors certainly make an effort to keep up with new exploits and new obfuscation techniques. ThreatLabZ will continue to monitor Nuclear (and Fareit and Troldesh) for any new developments or greetings.